Dr. Urh is a specialist in gynecologic oncology and minimally invasive surgery. He has extensive experience with the da Vinci Surgical System for minimally invasive robotic surgery. Dr. Urh is board eligible in gynecologic oncology. Dr. Urh is originally from Slovenia. After graduating from University of Miami in Biochemistry and Molecular biology, he also obtained his medical degree from the Leonard M. Miller School of Medicine in Miami. He then completed his residency in Obstetrics and Gynecology at Baylor College of Medicine in Houston, Texas. 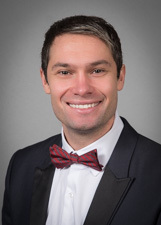 Dr. Urh completed his fellowship in Gynecologic Oncology and Breast Surgery at Brown Alpert Medical School at Women and Infants Hospital in Providence, Rhode Island in 2017. Dr. Urh has an interest in the use of sentinel lymph node technology in gynecologic cancers and is working on multiple publications exploring indocyanine green (ICG) fluorescence directed sentinel lymph node dissections in women with endometrial and cervical cancers. He has received multiple teaching awards in residency and fellowship and continues to be dedicated to teaching in his new position at Northwell. "Love this Dr. Urh. He's very thoughtful and treats me with kindness and respect. I never feel rushed. I am a trauma survivor and I feel safe. That is a rare thing for me in medical treatment. I appreciate him and his team." "Dr. Urh is an amazing doctor/oncologist he even takes the time to draw picture of problem(s) so I get a REAL idea/understanding of what's happened." "I have recommended him to a friend." "Dr Urh was very informative about my condition spent time with myself and my husband explaining everything"
"I really feel very comfortable and at ease with Dr Urh . He displays a confidence ." "First time seeing Dr. Urh and I felt very comfortable with him he explained everything with my husband and myself which made us feel more at ease with my medical condition." "Yes, yes very good I recommend it with my eyes closed. " "Very happy with Dr. Urh." "Dr. Urh took his time and explained with visuals that he drew on the board so I could easily understand him. I appreciate the time he took to explain everything to me." "Dr. Urh is a very caring doctor. Made me feel very calm about my surgery. I would highly recommend Dr. Urh." "Your scale indicates #5 as "very good." I would rate Dr. Urh as exceptional, outstanding, and excellent. He is by far one of the best doctors I've ever had." "Dr. is fantastic! Truly cares! Spends time going over medical care. Friendly, professional. A WONDERFUL doctor." "Dr. Urh is a wonderful addition to the North well group of doctors. He is very compassionate, patient and knowledgeable. He takes time to make the patient feel as comfortable as possible while dealing with their diagnosis, treatment and follow up. Wonderful new doctor." "I loved Dr. Urh. Very confident with him. He is calm caring, knowlegable & takes his time. I would definitely recommend him to others. He will be a very good rep. of Northwell Health." "I definitely will recommend this dr and his practice"
"Dr. Urh & Dr. Schwartz are amazing. My first visit was terrifying but they eased my worries right away. I highly recommend them! " "Dr. Anze Urh always has exceeded my expectations outstanding and with a high level of empathy." "I've never felt comfortable in a GYN/OB doctors office. But after visiting Dr. Urh, I do not want to see anyone else but him - will never go for and exam again if I can't find another Dr. Urh." "Dr Urh took plenty of time to explain everything using diagrams"
"Dr. Urh is very friendly, personable and compassionate. He totally put me at ease with my condition and going into surgery. I would definitely recommend him to others." "Excellent surgeon, already recommended to others." "#9. Dr. Urh is extremely polite and professional and of course knowledgeable. I liked his attitude and appreciated his prognosis and feel very confident of his capabilities." "Dr. Urz is a magnificent doctor. Everything about him is outstanding. If he were my son I would be very proud of him as I feel he is a "shining star". If all doctors could follow his overall example going to a doctor would be a pleasure (almost). I truly hope he is always one of your doctors." "The doctor did apologize for the wait time." "Dr. Urh has impeccable "bed side" manners. He is caring, patient and a great listener plus very informative. He is excellent. " "Dr Anze Urh is an excellent doctor in all aspects." "The doctor seems very nice." "Dr. Urh was absolutely wonderful. I think he is excellent in every way. I wish all my drs. were just like him." "Everyone was so caring thoughtful, helpful & concerned with me the best care I have ever had." "Covered a lot without me even asking. Care provider was patient, knowledgeable & unrushed." Listen to Anze Urh, MD, is featured on the Healthy Lifestyles podcast.